Skirt for round, 4.30 m trampoline with several integrated pockets. France Trampoline’s protective skirt allows you to prevent your children and pets from accessing the underside of the trampoline. Children love to play and can sometimes want to hide under the trampoline. It is very important to systematically check, as it can be very dangerous for them. Whilst the jumping pad is in use, the springs are under tension and the jumping pad can sometimes touch the floor when someone lands on it. If someone were to be under the trampoline at this moment, they would be running some very serious risks. 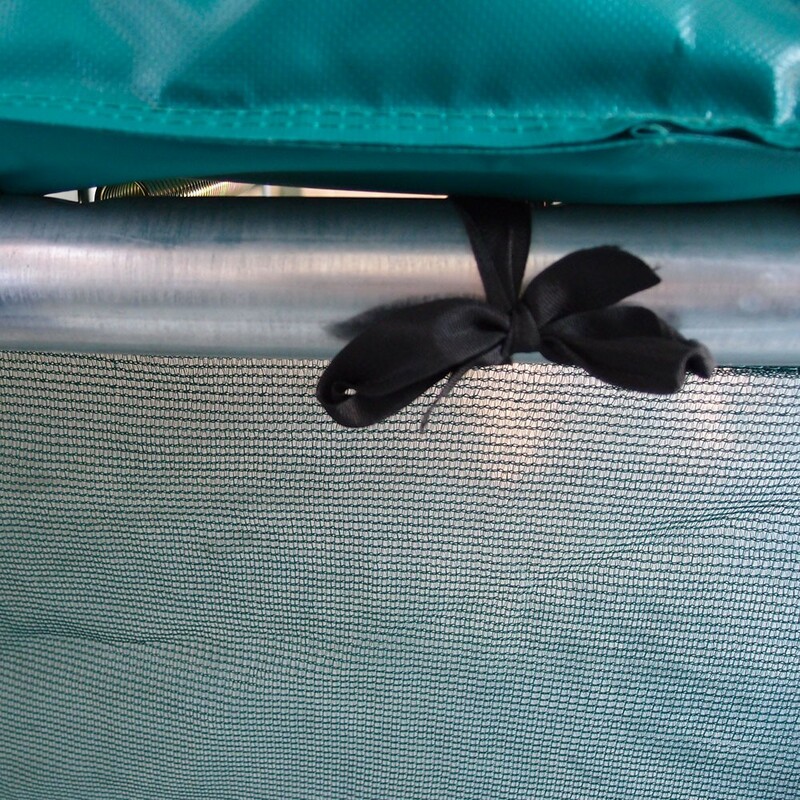 - This is why we have used very fine netting on the skirt, which allows you to check under the trampoline that no one is hiding there. The protective skirt allows you to make sure that all of your trampolining sessions and family are perfectly safe. - The safety skirt also has pockets, making it a very useful accessory for your trampoline. With its 5 large pockets, you will be able to tidy away your personal items so that they do not get damaged. 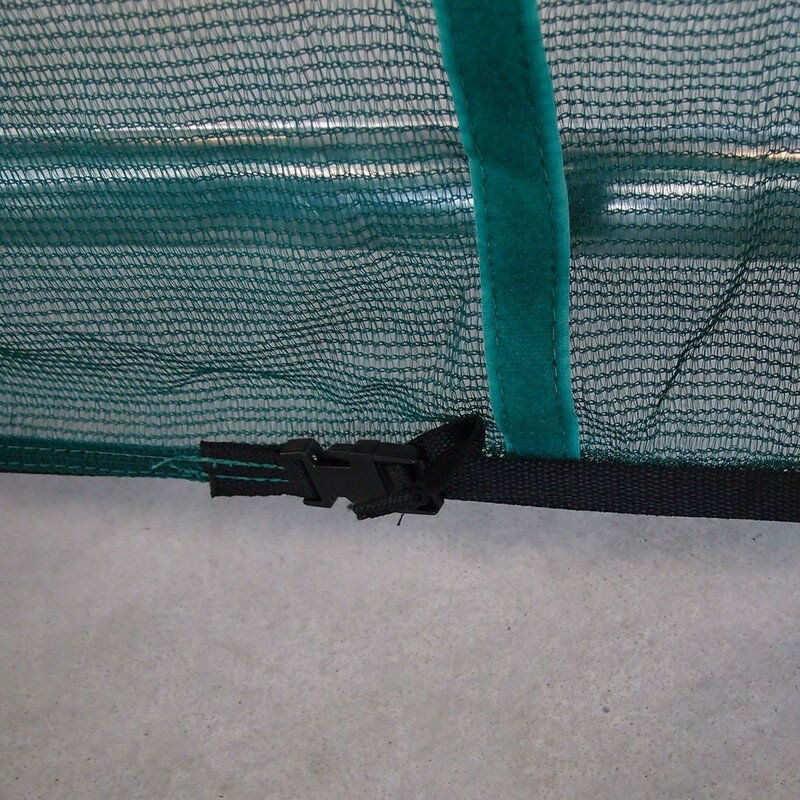 Thanks to the shoe bag sewn to the protective skirt, your children’s shoes will no longer be scattered everywhere and all of the trampoline accessories will be perfectly tidied away. - The safety skirt is green and blends perfectly into its surroundings. 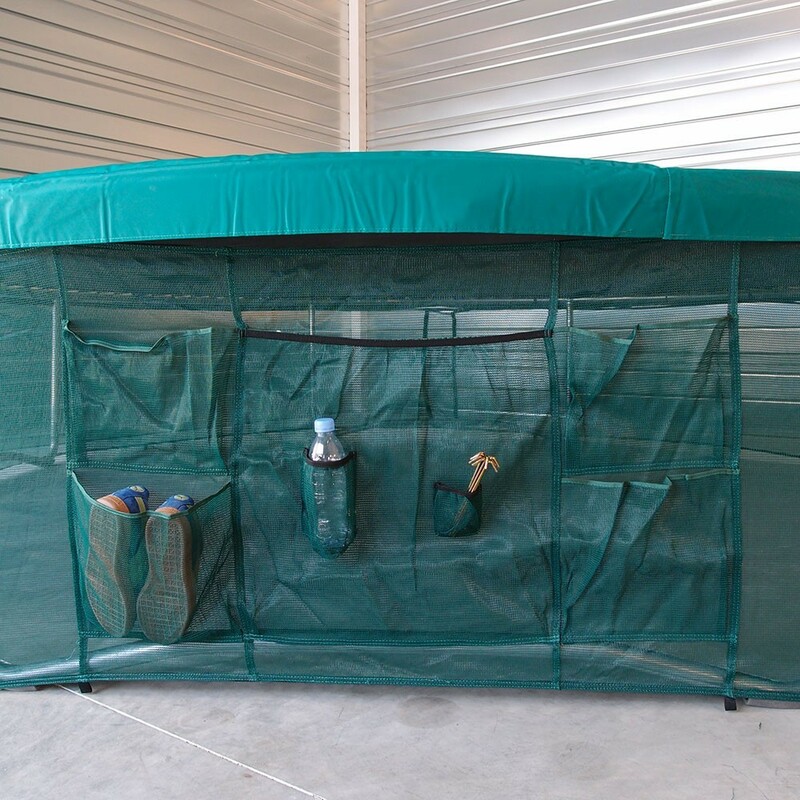 - The protective skirt is quickly and easily fixed to the steel framework of your trampoline. To make the skirt more stable and hold it in place, metal pegs are used to hold it into the ground. This accessory is compatible with round trampolines with a diameter of 4.30 m.